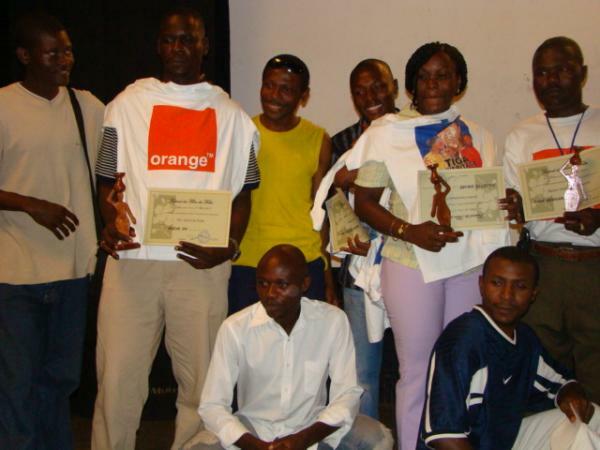 Curtains have been drawn on the maiden edition of a Film festival in Cameroon's English-speaking area on 17th May, 2008. The event kicked off 5 days before. 16 budding directors competed for the best award of the Fako Film Festival: Grand Prix. Retribution was the best award-winning film. 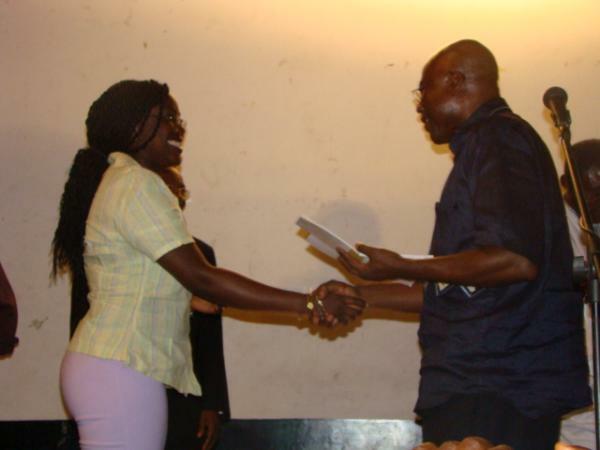 Its author, Etta Tabot Rene, owner of the Grand Prix, pocketed an envelop amounting to F CFA 150,000. It is a short that has been constructed in the format of revenge. The director abandons his two characters in a do-or-die situation. The hero is confronting his major opponent in a verbal war, holding a gun and ready to shoot. The main character complains that his rival had killed his girl-friend. To make things worse, he even raped her. In such a challenge, there must be a winner and a looser as it is the case with penalty shoot-out in a football encounter. None of them really has the situation under control. This uncertainty causes tension to rise. No viewer can predict who between the hero or the anti-hero will carry the day. Image quality together with sound track originality impressed both the jury and the public. The film was singled out from all the other low-standard productions which were screened. Such an out-put couldn't have been achieved by mere chance. The director's profile reveals that he was trained in film production in South-Africa. Etta Tabot Rene even confessed that the present version needs some final touches. 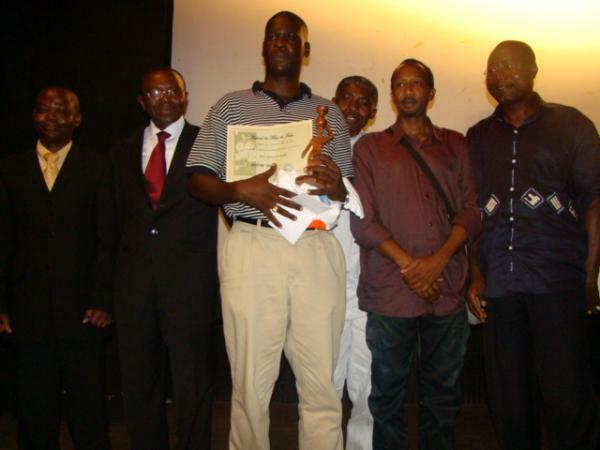 The directors of the five other award-winning films went home with F CFA 100,000 each. The Best Actress Award crowned Julienne Emabè in her feature début Woman's scar. She is the sole nominee to have appeared on stage twice to receive the Jury Award. Her male counterpart is Tabè Bernard who acted Pa Mukala in Epasa Moto (the half human-half god of the Mount Cameroon) (1). He is a quality actor in a poor film. For precision sake, he is the albino asked for sacrifice in order to bring back peace in the Bakweri land, which is described as having been torn apart because of tribal wars in the film. The public selected Bill N. Mosah's Break In for its Award. It is a gangster film with some serious 'hollywoodian' bias. Indeed, a production which is full of action is promising when it comes to instilling fear or joy. That, the audience did enjoy. Lastly, the Best script award went to Didi Lobè Elangwè. His Memorable Night has mediocre images. Sound quality has nothing to write home about as well. This does affect the final product. However, his film displayed best what script-writing is all about. He successfully allowed images narrate the story of two young ladies. They were assaulted by criminals both in a township taxi and in a street in Yaounde on the same night. The short may be used to school other directors-to-be on the ins-and-outs of narration in fictions. It is this possible didactic consideration that brought Didi Lobè Elangwè to centre stage. Two events preceded the award ceremony. A conference on the theme: Black African Cinema and Nigerian Home Video: Similitudes and Differences caught public attention. The 2nd Deputy Chairperson of the African Federation of Film Critics, AFFC, Jean-Marie Mollo Olinga, elaborated on the socio-genesis of Sub-saharan films. The first-ever release was Afrique sur Seine in the mid-50s. 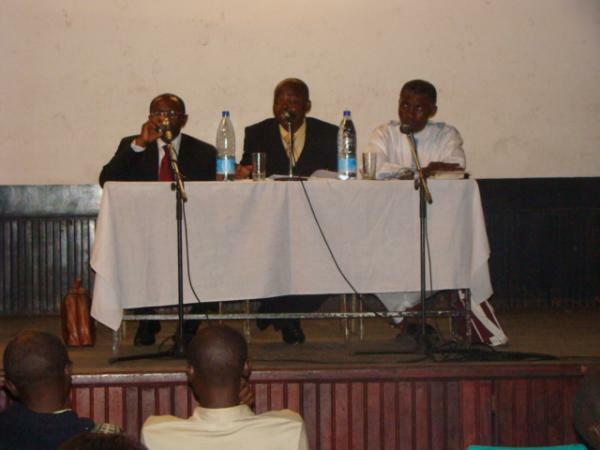 The one time Chairperson of the Association of Cameroon's Film Journalists, CINEPRESS, further stated that major controversy among film historians continues to cast doubt on Afrique sur Seine being the very first African film. He castigated the use of the expression African cinematography. He emphasized that the said word should always be used in its plural form: "cinematographies", Africa is not a homogenous country as some may think. It is a collection of nations with many socio-cultural distinct identities that make up a continent. Cameroonian-born expert, Jean-Marie Mollo Olinga, finally raised a 3rd issue: African cinema as viewed by the Pan African Federation of Filmmakers, FEPACI. 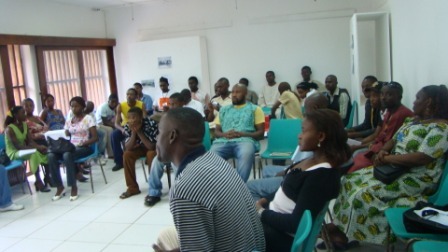 This association advocated the production of films that had to be the voice of the voiceless in a kind of follow-up of the Negritude movement. Filmmakers were assigned to side with people and highlight their concerns. Such an ideology was closer to left-wing politics and communism. The 2nd speaker worked to describe the origin of Nigerian home video. According to Roland Alain Biozi, both AFFC and CINEPRESS member and producer, the beginning of Nigerian home video goes undisclosed. However, there is common ground that 1992 is the year that set the ball rolling. He also revealed that Nollywood was housing and feeding 300,000 families in 2001. It injected 12 billions the same year in the Federal state coffers. What baffles analysis, Roland Alain Biozi disclosed, is the fact that Nollywood makes profit in an environment of widespread piracy. At times, a fake copy of a film seems to be more sophisticated than the original film. The 3rd speaker dwelled on the similarities and differences between Black African films and Nigerian home video. Télesphore Mba Bizo, a journalist-translator with the Cameroon Radio Television, CRTV, who doubles as a Ph D student in Communication, insisted that both cinematographies are fun of exploiting the narrative approach known as the goal-oriented plot. In other words, the hero has an objective that could be travelling overseas or taking an exam. There must be a wide gap between these needs (that he has to meet in the future) and his present desperate situation. So, a line is to be drawn between the condition at the start and the gratification or failure at the end. The hero must surmount obstacles and challenge the characters who oppose his will. The principle of a goal-oriented plot combines disqualifying and gratifying factors as there are also characters who assist the hero in meeting his target and quest for happiness. The 2nd closer link, as to Télesphore Mba Bizo, between them is that people parrot too much in films. Dialogues are excessive. This is the embodiment of orality in both cinematographies. Finally, Nollywood is first and foremost African cinema. 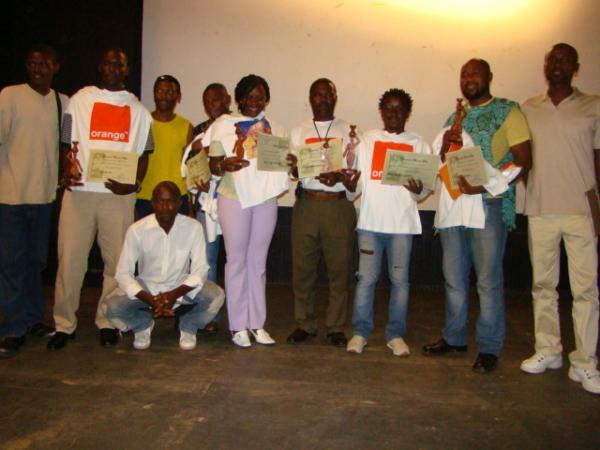 "Le cinéma africain désigne les films et la production cinématographique associés aux pays d'Afrique" (2). Like Françoise Balogun rightly puts it : "Par cinéma africain on entend le cinéma produit par les Africains sur eux-mêmes, même s'il est parfois fait référence au cinéma colonial ou aux films sur l'Afrique produits par les Occidentaux" (3). As regard differences, they abound. The most meaningful one is ideological. While Black African cinema promotes communism, Nollywood is out for individualism. The marker of such a new policy in filmmaking is the predominance of houses of a certain magnitude, expensive cars and beautiful women in Nollywood-made products. It is a kind of repatriation or "nigerianization" of Hollywood, the world greatest film industry. The screening of a film which obeys to the letter the rules and regulations governing cinematographic productions was also high on the agenda. Héritage by CRTV-directress Yolande Ekoumou satisfied the audience. The decision to have it screened on the final day was pedagogic. It was wise to show these young directors how an almost perfect film is made up following thousands of sessions where they were highly criticized. All in all, student directors went through hard times. 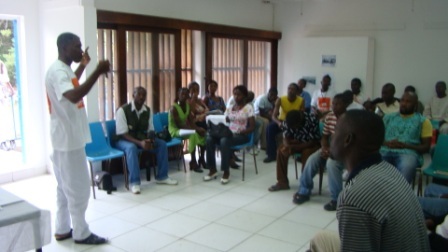 They attended a workshop on acting at the beginning with Asheri Kilo who lectures at the University of Buea. They also showed up during workshops on directing, images and lighting, sound system, editing, etc. 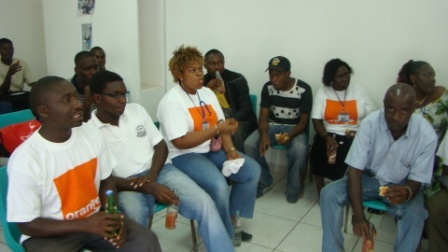 Conferences and debates with professionals such as Noho Mama, producer of Héritage, should also be added to their weeklong workload. This contribution has been published in French in one of Cameroon's dailies Le Jour N˚ 0165 22nd May, 2008, p. 12. (1) Mount Fako in the bakweri local language. (2) African cinema means the films and cinematographic productions related to Africa. http://fr.wikipedia.org/wiki/Cin%C3%A9ma_africain. (3) African cinema refers to films that are produced by Africans themselves even if the term is sometimes linked to colonial cinema or to films produced by Westeners on Africa. BALAGUN, Françoise, 2002, " Un cinéma différent", in Cinémas d'Afrique, no 149, Paris, L'Harmattan, p. 5.